I’m over the moon excited to share with you all that one of my favorite recipe websites has featured my Chocolate Chip & Real Mint cookies! They even had their in-house photographer (the badass James Ransom) snap this lovely photo of them. The author of the article claimed they were the best chocolate chip cookies she’s ever had (and apparently she eats a lot of cookies!) It’s all about infusing the butter with REAL mint. And let me tell you, once you try it, you’ll be hooked too! I cannot tell you how proud I am of my cookbook and when things like this happen and people discover DUTD for the first time I can’t help but pinch myself to make sure this is all real. The book was a true labor of love and I’m so happy that more and more people are discovering it. If I can inspire folks to cook with the seasons and support the efforts of their local farmers I feel that much more stoked about taking on such a big project. If you haven’t had a chance to order the book yet you can do so here. 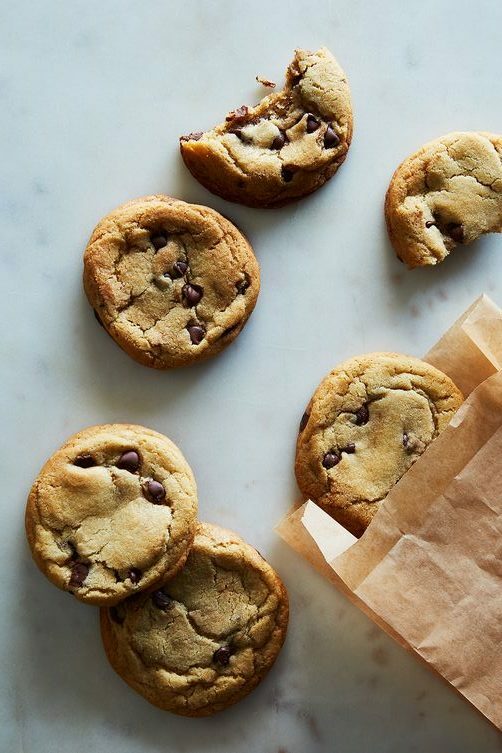 Head on over to Food52 for the recipe for these tasty cookies! Head to Food52 for the recipe. Congratulations on being featured! The cookies look delicious, you deserve it! Can I have the recipe please!! the recipe is linked to food 52. I hope that’s helpful. It’s also in my cookbook. happy baking!